Disse iguanene lever på Galapagos-øyene. 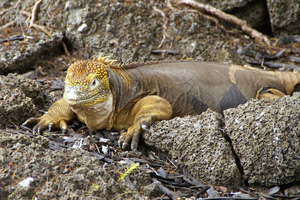 "Barrington Land Iguana" by Crazy Creatures via Flickr, Creative Commons Attribution-NoDerivs. 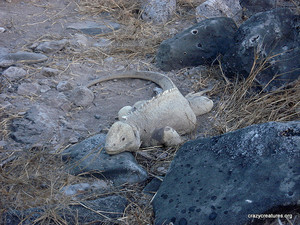 "Land iguana Charles Darwin Research Station Santa Cruz" by Putneymark via Flickr, Creative Commons Attribution ShareAlike.